Traditional, conservative Levant & partners law firm is open to new visions. The firm, founded in 2004, has a rich history of rendering a full range of services to our Clients, letting their business grow with us. We have worked up an impeccable reputation over the years of its operation, providing a wide range of legal services in Russia and worldwide. The level and quality of services provided is confirmed by clients and high positions in domestic and international ratings of law firms such as European Legal 500 rating, Vedomosti Pravo.ru, Pravo.ru 300 and many others. 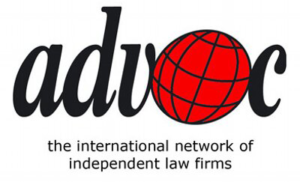 Owing to the partnership with foreign law firms and membership in international legal associations such as the International Association of Independent Law Firms (Advoc), the Licensing Executives Society (LES), the International Trademark Association (INTA), the International Bar Association (IBA), cooperative team on Belt&Road of the All China Lawyers Association (B&R of the ACLA) and others, as well as the presence of representative offices in New York and Tel Aviv, the firm responds instantly to the needs of our Clients, depending on the national features of different jurisdictions. Attorneys at law of the firm are recognized specialists in various areas of law, speaking many foreign languages fluently. Levant & partners law firm always keeps up with the times, reacting promptly to the constantly changing realities of the modern world, scrutinizing and applying new trends in practice. We render to our Clients high-quality legal services, by virtue of international experience and Russian creative thinking. The firm is able to handle the most complex matters, wherever they are needed to be solved.